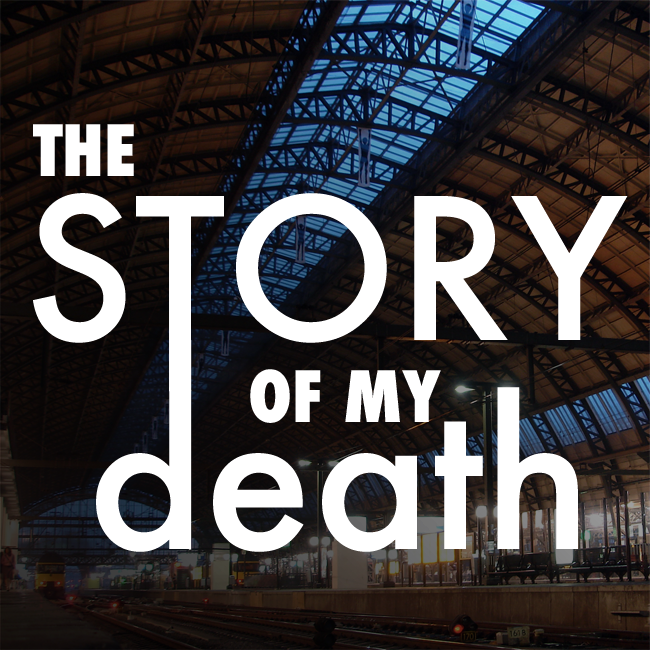 Angry Dave Asks, Why Should I Listen to a Podcast About Death? I’m guessing I’m not alone in thinking I really don’t want to listen to a podcast about death. So explain to us all why we should. 1 – There’s too much death denial in our culture. Listening to stories about death can help all of us come to a healthy awareness of our mortality and have a greater appreciation for life. 2 – Many of us (most of us?) don’t know how to exist around people who have had close encounters with death, especially tragic or complicated deaths. By listening to these candid storytellers, you’ll come to a better awareness of the needs of those who are grieving. 3 – The strength exhibited by the storytellers is inspiring. 4 – Why don’t you want to listen? Many of the standard answers to that question are actually reasons you should consider listening. 5 – Caleb Wilde is a funeral director, has a book contract with Harper One, and is a post-grad student at the University of Winchester completing the Death, Religion and Culture program. He’s one of the voices on the podcast and is also one of the most interesting men on the planet. The metanarrative that we’ve been given is that death is entirely negative. We use war metaphors to describe our personal “battles” with terminal sickness as though we believe death is an enemy that needs to be fought. With the “death as negative” story, it’s made it easier for us to abdicate our responsibilities to the dead and dying over to the “death and dying professionals,” who have been trained to care for, beautify and hide the horrors of it. But, there’s another narrative about death … that death can be beautiful. Death can allow us to see our own mortality, realize our finitude and pursue a meaningful life. For the dying, death can be a release of a slowly deteriorating body. Times of death can allow us to hug our loved ones, allow us to cry with our family and friends and honor a life well lived. Embracing death can allow us to embrace life. And contemplating our mortality can allow us to pursue vitality. And when we embrace death, maybe we can take back death care. Yes, death can be bad. Yes, death can be negative. But it can also be beautiful. And that alternate narrative needs to be discussed. 7 – People say a lot of silly or hurtful or ridiculous things to people who have just lost someone. Don’t be that person. In Episode 01, our storyteller shares 23 spiritual cliches to avoid saying to someone who just lost a loved one. 8 – Angry Dave, you look like you could use a good cry. There you have it. Check out Episode 01, Lacey’s Story, HERE.